Coco Palms Kauai 2018 Update | Will It Ever Happen? Latest on the pained Kauai Coco Palms Hotel, Kauai’s first and arguably most iconic resort ever. The place where the rich and famous once stayed and where Elvis Presley’s Blue Hawaii was filmed. The developers have just defaulted on an $11M loan and the property is now facing imminent foreclosure. Doubt about the project’s viability had been widely discussed well before this kibosh. We drove by again this month and were amazed that other than the construction fences no longer obscuring the remains, nothing else had seemed to change in years. All that has happened is that the project completely disintegrated when developers were unable to acquire additional funding required. 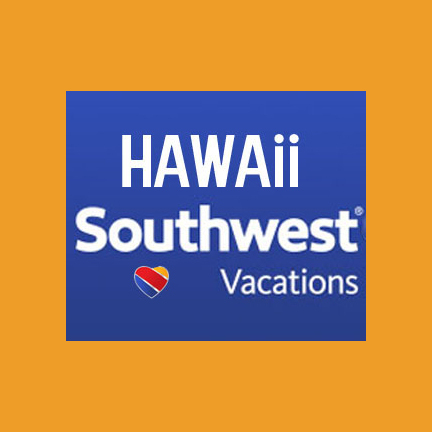 All to the chagrin of visitors, locals and the Kauai government. Previously, the Kauai resort had been scheduled to reopen in 2020 as a Hyatt managed property with 273 rooms, 77 suites, 3 restaurants, a cultural center, 12k square feet of retail and more. It was set to be part of Hyatt’s Unbound Collection, a group of upscale luxury properties. Living here, someone we just didn’t believe this would really come to fruition. When you drive by, you’ll see a great deal of the original concrete and steel, as in image below. The developers, now in default, planned to use these pre-existing steel and concrete structures as the base of the new resort. The iconic lagoon was also set to be restored as is shown in image above. Past 24 months. Very little that’s obvious has taken place in the last two years at Coco Palms Resort. It had been looking more every day like a project destined for nowhere. There is always talk about an alternative plan for Coco Palms, such as a county park. This is something that has been suggested for years. How that would happen, however, and where funds would come from to undertake such a process, is totally unclear. Kauai’s new mayor has supported such a concept, at least in theory. Until something more happens, Coco Palms sits largely unchanged, destroyed through hurricane, fraud, neglect and to this day, ongoing controversy, for over a quarter century. The $3.5 million selective-demolition project was completed two years ago as seen in photo above. This included drywall and asbestos removal, electrical and mechanical repairs, renovations at the Lotus Restaurant and bungalow building. It pretty much was stripped clean. More big problems at Coco Palms. 1. Following demolition, construction was to have begun in spring 2017, but never occurred. Dozens of building permits are as far as we know still pending. We kept waiting to see something, anything happen, but still there was no development. 2. 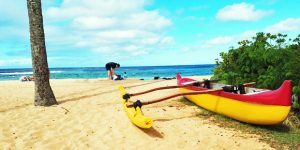 Then in 2017 a land dispute arose when a group of Native Hawaiians claiming to be descendants of Kauai’s King Kaumualii began living on the property. A judge refused to remove them from Coco Palms as more information was needed to determine the rightful owners. The developers have taken the position that “the county recognizes us as the owner of the property, and so we see it as criminal trespassing.” That position was affirmed by the court in 2018, when a summary judgment hearing ended the dispute. 3. Ongoing flood zone concerns. We’ve heard that county engineering is saying that the resort, if rebuilt, would need to comply with current flood abatement standards. Those did not exist at the time of the original resort. That could result in significant unanticipated costs and delays in order to flood-proof large areas of Coco Palms. We aren’t aware of any update on this issue. 4. Is there a current market for Coco Palms Resort? If the resort is ever rebuilt, how it can position itself in relation to other nearby Kauai hotels isn’t clear. Coco Palms is directly located on a very noisy stretch of Kuhio Highway, with no beach access. The idea of a pedestrian bridge has be thrown around, but we aren’t aware of any specific plans. 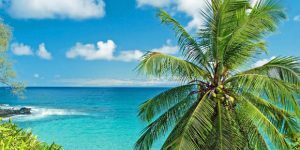 In addition, competitive hotels have been built in recent years that, while not Coco Palms, offer beachfront locations at prices that could well undermine the potential for profitability. I have been waiting and waiting for the re-opening and I am now so very sad. I was there in 1986 and again in 2008 to see the ruins. I brought back some items (a menu, lamp shade, etc.) from the site to keep with my memories from 1986. I also bought the book, The Story of Coco Palms. I will cherish them for life. I was so hoping to return. I’ve traveled the world and Coco Palms has always been my favorite. There are more people than you may think that love Coco Palms. I was even hoping maybe Elvis’ family would have stepped in. Guess they don’t care either. I’ll bet Elvis would have stepped up. So very, very sad. Really appreciate the update. Visited Kauai three years ago, and took the little walking tour through the CoCo Palms. The history of CoCo Palms is amazing, but it’s history, can’t bring it back. Kind of knew the rebuilding wasn’t in the cards, hope someday something beautiful will take it’s place, whatever it might be. Thank you, please continue to keep us all posted on any news. We honeymooned there in June 1972 and were looking forward to returning in 2022 for our 50th. Doesn’t look good. (no beach), low elevation and the cost to do it. 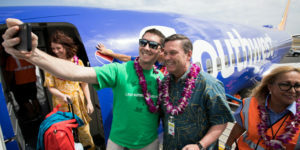 It will be Hawaiian Airlines for a least a year or two until SouthWest builds a track record! It’s a bit too far from the Mainland for any issues! Why the ‘developers’ EVER thought they could pull this much needed reconstruction off is a complete mystery. Anyone who has ever worked with any part of the Hawaii county government, in this case Kauai, knows full well – they will tell you one thing and then do something entirely different. Permits? Really? Good luck with that. You would have a better chance of hosting the Super Bowl in Kauai than you would of ever getting Coco Palms rebuilt! No beach, no golf course, no views. Busy hiway, huge expensive footprint, lots of competition. It just does not look profitable in today’s market. I think Elvis has left the building. We stayed there in 1975 and have been by to visit several years ago. It is a shame that they are having BIG problems with redevelopment!!!! No amount of rehab would ever bring it back to its original state nor would it be the same without Mrs. Guslander at the helm. I stayed there back in late 70s when Mrs. Guslander was alive and managing the property. She was the main reason Coco Palms was Coco Palms. She showed her guests the reverence the property and Hawaiian people deserved. The calling to the people that had passed by turning off all electricity and lighting the torches and the Hawaiian men paddled their canoes down the streams singing traditional music made me feel like I was truly a part of a tradition. Bless her soul. She was a great lady. This eyesore should have been torn down many years ago. It’s a disgrace to the beautiful island of Kauai. What it used to be is so far in the past that it doesn’t matter anymore. Maybe Mr. Zuckerberg will show his neighbors some love. 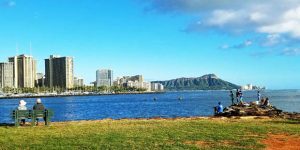 He could finance the clean up, a gorgeous Hawaiian park, a small amphitheater and some retail of shops and restaurants. Coco Palms was a dump before Iniki did us a favor. The owners were milking its reputation to clueless punters. Hope it gets bulldozed into oblivion sooner than later. The County negigligently failed to condem the place decades ago and it’s time it finally done..
MISTERM, We don’t all have your negative view of Coco Palms before Iniki hit. Some of us liked it back then and still miss it. One thing that comes quickly to mind about the Coco Palms resort is the fact that while there was some money on the table to start initial work, the money to make the project come to life was always on the side, waiting to see if the community would come around in support. That never seemed to happen in a way by which investors could be comfortable with. From the Native Hawaiian protests to the counties sitting on permits, I think the investors that could have invested decided that the risk was just too much for what seems like a marginally successful plan. That money is going to places where there is more guaranteed profit and a lot less headache in making the project come to life. Sorry to say doing business in Hawaii at this level is not as easy as it was in the days the Coco Palms was first built. And I think that anyone who is trying to use the goodwill of the past to show value of the place today needs to know that all that goodwill is not enough to overcome what now seems to be institutional opposition to re-development of the property. This does not make me sad. Kauai needs to stop building so much. Although iconic, I don’t believe that Coco Palms needs to be rebuilt. Let it die and move on.